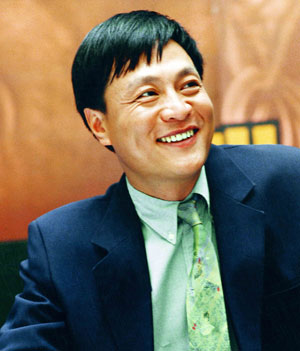 Internationally acclaimed landscape architect Dr. Kongjian Yu continues to set new standards for his industry by infusing his agrarian roots and culture into his breathtaking projects that combine the best of sustainable design with cutting-edge engineering. Yu's projects with his firm, Turenscape, range from small gardens to regional planning but they all include aspects of nature, man, and spirits as one. 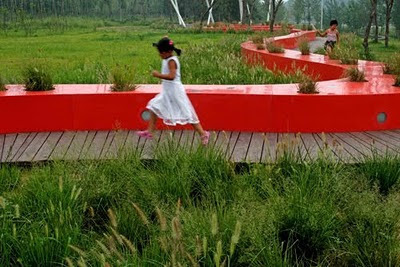 The Qinhuangdao Red Ribbon Park (pictured above) is just one such example which created a modern urban recreation opportunity while maintaining the ecological system that existed there prior to the project. Dr. Yu now teaches at Peking University and Harvard so we expect to see many more inspiring works from Dr. Yu, as well as his students for many generations to come.